Global Angels are members who play a vital role in helping to fund ongoing operating expenses and to ensure that our educational programs continue to be free for our members. 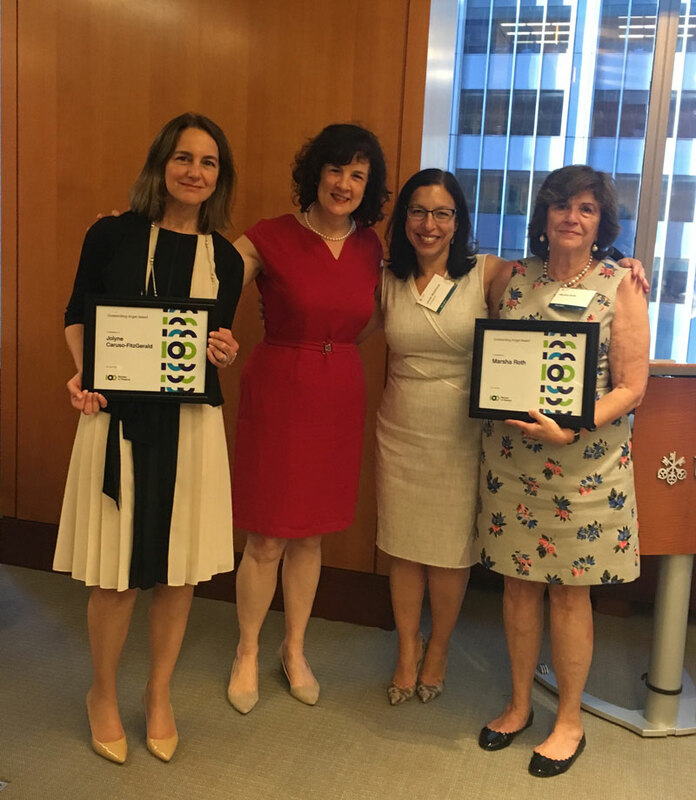 Jolyne Caruso (far left) and Marsha Roth (far right) receive Outstanding Angels awards at 100WF’s Seventh Annual Salute to the Global Angels in New York. Hosted by UBS and Maples & Calder.